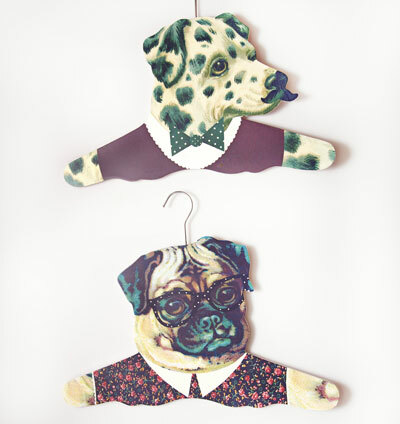 Blå Gungan - webshop design & crafts - Clothes hanger "Dog Dress Up"
Home » Interior » Trophies » Clothes hanger "Dog Dress Up"
We just love these humorous coat hangers! 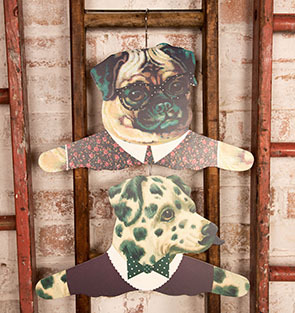 Made from MDF with a realistic dog face, they can either be hung as a decoration where you will glimpse the dog's outfits, or you can use as a hanger to make the dog's appear as if they are wearing your clothes. Great fun.